HAL was to roll out the Final Operational Clearance version of the indigenously-built aircraft by 2011, but project has been hit by delays. New Delhi: The Modi government and the opposition Congress are busy sparring over the value of contracts given to Hindustan Aeronautics Limited (HAL) but the state-run aerospace continues to struggle with one of its biggest and most prestigious projects in hand – rolling out the more complex version of the indigenously built fighter aircraft Tejas. HAL was to roll out the Final Operational Clearance (FOC) version of the light combat aircraft in 2011. It has a contract with the Indian Air Force (IAF) to produce 20 aircraft of the FOC version. The process, however, has been delayed due to various reasons, from hardware and software modifications to limited hours of flight testing. Another main reason is that the developmental phase by the Aeronautical Development Agency (ADA) is still not complete. Speaking to ThePrint, sources indicated that the rollout may take more time even though the Ministry of Defence (MoD) has stepped in to hasten the process. Sources said that a high-level meeting was held in the ministry on 29 December, following which HAL has got the clearance to manufacture the FOC standard aircraft. The testing and certification for the final FOC clearance will continue on the side, the sources said. They, however, termed it a “stopgap” arrangement to ensure that HAL’s production lines don’t remain idle since the firm is expected to complete the production of the more basic form of the Tejas aircraft — the Initial Operational Clearance (IOC) version — by March this year. The HAL has to deliver 20 aircraft of the IOC variant, the last of which is expected to roll out in March. 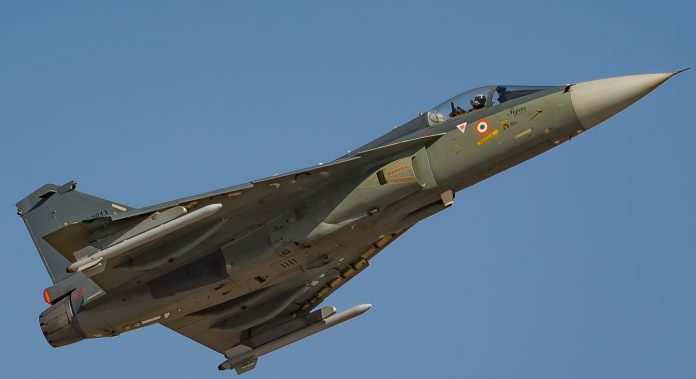 The main difference between the two is that while the FOC Tejas variant will have a gun of its own besides mid-air refuelling capability and a number of software upgrades, the IOC version is an armed version with laser missiles and bombs, and does not have a gun, sources said. Once the FOC is done, the 20 IOC variants will also be re-configured with the gun and mid-air refuelling capability. It is feared that there is so much work needed that some of the aircraft may never get these two capabilities. Asked if the Tejas in the current IOC form can fight a war, top sources said it can, but only a truncated one. The Indian Air Force (IAF) has also decided to buy 83 Tejas Mark 1A aircraft from HAL but a contract is yet to be signed. The Tejas Mark 1A aircraft will be a class apart from the rest of the 40 ordered so far in terms of capability, weapons and avionics. The EW suite allows an aircraft to defend itself from enemy fire but none of the 40 aircraft ordered so far will have this facility, meaning that they can be sitting ducks in case of a war. When is the order likely to be made? Sources ruled out the possibility of any firm order during the tenure of the current government even though they have pushed the Tejas programme. Sources said that HAL has worked out a price of Rs 466 crore for a basic version of the Tejas Mark 1A aircraft and the MoD feels it can be cheaper. For instance, the Rafale basic aircraft that India is buying is priced at Rs 670 crore. However, even though the price of the Tejas Mark 1A is high in comparison to a Rafale, the government is said to be keen on the programme because of the experience and ability it can bring to the country. HAL work culture is lethagic, they failed to develop the Awacs on Avro in 80s lots of funds were wasted.Sukhoi work team is Russian HAL is just a helping hand for sundary works. Tejas current state is pathetic. Thanks, it is just a flying machine and not as a weapon carrying platform in the air with a killer instinct and not as a sitting duck. HAL has never kept up it’s date of completion for any small or bigger project since it’s inception. They should take a lesson from ISRO. I cannot understand why politician are so much vouching for HAL and are against the opening this field to committed private firms in the country ?? ?..